Professor Maggie Dallman, Associate Provost (Academic Partnerships), Vice President (International), welcomes delgates to Engagement Day 2018. Clare Matterson, Director of Engagement at the Natural History Museum gives the Keynote Speech ‘Nature in Crisis: The Role of the Natural History Museum?’. Over lunch delegates had the opportunity to network and meet representatives from the College’s engagement teams to find out more about the work they do and how to get involved. Q&A with the Pecha Kucha style engagement project presenters. Engaging Public Policy Makers workshop by Alyssa Gilbert and Simon Levey from The Grantham Institute for Climate Change. Outreach - Working with Schools workshop by Annalisa Alexander, Head of Outreach. Engagement as Research Impact panel session led by Paul Manners, Director of the NCCPE with Professor Nick Jennings, Vice-Provost (Research and Enterprise), Dr Steven Hill, Director of Research Policy at Research England and Professor Maggie Dallman as members. Delegates had the opportunity for Q&A throughout the day. Our next Engagement Day will take place in Autumn 2019, details will be posted here shortly. The College's first Engagement Day saw 100 delegates, across all Faculties and 34 Departments or Centres, come together to network, exchange ideas and share inspirational stories. The day was hosted by Professor Maggie Dallman, Vice President (International), Associate Provost (Academic Partnerships) in order to raise awareness of the value of engagement, highlight an inspiring range of initiatives and projects going on at Imperial and create a space for networking and dialogue around best practice. Thank you to our speakers and delegates who shared many great ideas and discussions. 96% of delegates left the day feeling inspired, keen to come along to other events and recommending the day to colleagues. "Clare Matterson, Nick Jennings and Maggie Dallman - It was a highlight to to hear their real views and talk so passionately about engagement." "The pecha kucha talks were great, super inspiring to see the great variety of innovative engagement within different teams." Clare Matterson, Director of Engagement at the neighbouring Natural History Museum, delivered a keynote speech titled 'Nature in Crisis: The Role of the Natural History Museum?’. 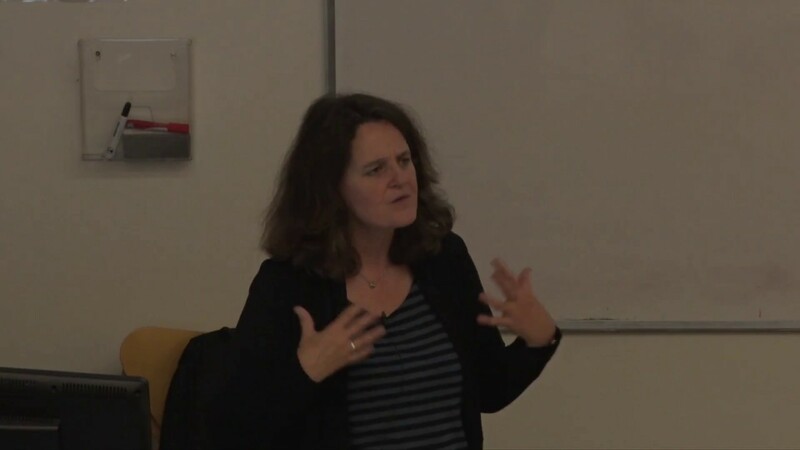 Clare shared her experience of public engagement and described her leading role in establishing the Wellcome Collection and exhibitions such as ‘From Atoms to Patterns’, as well as the Wellcome Trust’s ‘Our Planet, Our Health’ programme. Clare used this opportunity to ask Imperial staff to think more deeply about how society can engage with science, and discussed the different modes of public engagement. Delegates explored a number of engagement topics below to deepen their knowledge and spark new ideas. When we talk about science, how should we talk? And how do our pre-conceptions of science shape the way we bring it into public view? This workshop will use insights from philosophy, and a number of practical exercises, to provoke discussion on the biases inherent to all science communication. This workshop will look at how the central outreach team works with schools and how to best take advantage of the in-house expertise around targeting, recruitment and impact measurement that are available. With an increasing number of research proposals focusing on engagement with under 18s, this workshop will help you to shape your thinking and target key schools quickly and easily. This workshop will introduce you to Policy and Public Affairs engagement as a way to influence public discourse. You will hear examples of Grantham Institute work on climate change and environmental policy issues, and from external speakers about their top tips for engagement. Expect an interactive session to build your skills and develop relationships with people who can support your work. Science capital can help us to understand why some young people see science as ‘for them’, whilst others do not. We can use it as a lens to reflect on our own activities and events, to better understand who we are engaging, who we struggle to reach and why. Come along to this workshop to find out more about the concept of science capital and where it came from, and to explore how it can be applied in practice to help us to create more meaningful engagement with diverse groups. The day concluded with a panel discussion that addressed public engagement as research impact chaired by Paul Manners, Director of the National Coordinating Centre for Public Engagement (NCCPE). Professor Nick Jennings, Vice-Provost (Research and Enterprise) at Imperial, Dr Steven Hill, Director of Research Policy at Research England, and Professor Maggie Dallman formed the panel. Discussions touched on how the changing environment for universities affects the way in which researchers engage society with their research. There was an emphasis on both the impact that engagement can deliver as an outcome of specific research projects, including in submissions for the REF, and on the broader impact that other forms of societal engagement can have.